These sparkly gems pack a punch of flavor. Pop one, or more, into your mouth and your taste buds will immediately awaken. 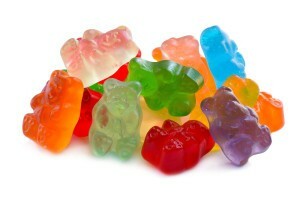 Any time is party time when you have these colorful sour gummy bears just waiting to delight you. Kids and adults can enjoy a change from sweet treats from time to time and these bears are the perfect diversion. One bag contains about 120-130 pieces. I knew the kids would love these but i admit I helped them eat the bag. These are one of my favorites! They have a sour coating that is fantastic! 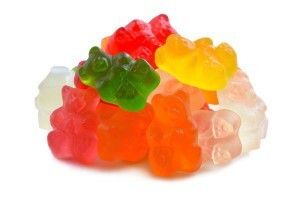 The gummy bears are soft and chewy. There are a lot of different flavors included in the assortment! Delicious! Good flavor. Nice and tart. would be 5 star if they had less sugar and were a little chewier. Sweet and sour, but not too sour like some brand can be! I love that they are also softer than most sour gummies, yet there is still a good amount of gummy-ness. The sour aspect allows the to last a little bit longer than the traditional 12 flavor ones… which are easily gobbled up in one sitting. I had them once, and I fell in love with them…then I couldn’t find them in any store. I have tried about 10-15 brands, but they all failed. I did a lot of research to figure out who sells them. These one have the perfect balance of sweet and sour flavors, with perfect chewy consistency, and right size. Cons: they are addicting…very addicting. I was visiting New York and was bought a bag of these gummy bears. I had a hard time not finishing them in one sitting. They are sour enough and also just the right kind of chewy, not sticky like some gummy candies. I eat a lot of sour gummies and there are very few that I would actually go out of my way to buy again. These are some that I would.